In my current school we have a very strong student leadership programme that encourages the students to extend themselves in an area of interest. In particular, all students in our Middle School are expected to partake in our 1:1 program which sees every student applying for roles that suits their interests. All students are awarded with a leadership role and staff across the school manage the groups. Being the Technology leader in my school, I have the amazing “Techsperts”, the students with a particular interest and desire to excel and lead within the field of technology. The students meet with me once a week and we create a list of technology based problems that they can solve. Projects include, support desk work at lunchtimes for staff and students based around our 1:1 device program. If they cannot answer the questions they log it and pass on to our ICT staff. The Techsperts are thought very highly of within our school by the entire community. The name ‘techsperts’ was thought up and created by my first group of leaders last year. It has stuck! Everyone wants to be a ‘techspert’ because it shows that you are a leader in the field and as a digital native, technology is everything! The skills these students demonstrate are nothing less than remarkable and it has brought me to realise just how much this is overlooked in many schools. Why are we not utilising students as teachers more often? I am (as you will know from my previous posts) a huge believer in studentvoice. Giving students the opportunity to lead their learning is a powerful thing and too often educators do not provide this in their teaching programme. My team of Techsperts are booked by teachers through my Calendar and I can accept or decline their appointment, giving me control over when they will be going to support other classrooms. The right balance between being a leader/teacher and being a learner in their own classroom is critical. It is always exciting to get positive feedback from staff after they have had the students in their classroom. An amazing example occurred last week. 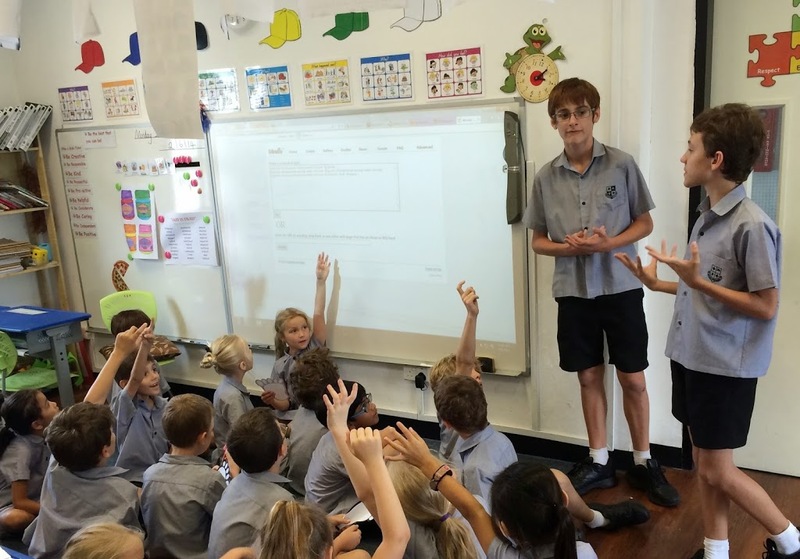 The ‘Techsperts’ were running a lesson with Year 2 about digital citizenship (something they had been planning in their technology class with me for the previous 2 weeks). The teacher asked them about a ‘tool’ they were using and how they could use that to support their literacy programme. My ‘Techsperts’ took charge and shared this tool with the teacher in their own time –> Wordle! Most of you would have heard of it before, but for those that haven’t it is a basic word cloud programme that you can customise and develop to create great word based displays. From this, the class teacher has gone away and used Wordle to create fantastic word clouds about their language unit. To me, this is amazing and shows the true power of student voice. When we utilise the skills of our digital natives, anything is possible! Great work Mr kemp and students! I like the techspert idea. Would love to know what school you guys are. This is a great idea. I hope other schools read this and take up the idea. Way to go! Great to see. Were these techsperts part of the “invisible crowd” [aka nerds before and not valued by some students? Now they have some “street” cred? if so, even better. The image shows Grade 6 or 7 students? Interested if they go on to be HS techsperts? Are there other tracks aside from tech? If so, what? I like the leadership model a lot, and I’m curious how it works for kids pursuing different interests.